Commonly known as the Frangipani tree, Plumeria rubra var. acutifolia is a deciduous plant native to tropical and subtropical regions of Mexico, Central America, Colombia and Venezuela. It is an ornamental flowering tree with a spreading habit, growing up to 7–8 m in both height and width. There is some variation in the flowers from tree to tree ranging from shades of pink, white and yellow. The flowers themselves are highly fragrant and are produced in large quantities over the summer and autumn. 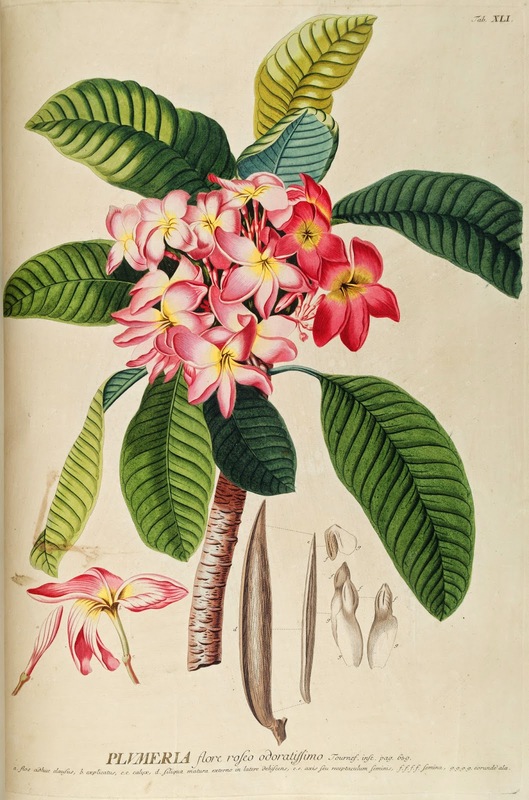 The common name 'frangipani' comes from an Italian noble family, but specifically a sixteenth-century marquess of which invented a plumeria-scented perfume. The Frangipani family was a powerful Roman patrician clan who rose to the height of their wealth and power during in the Middle Ages. 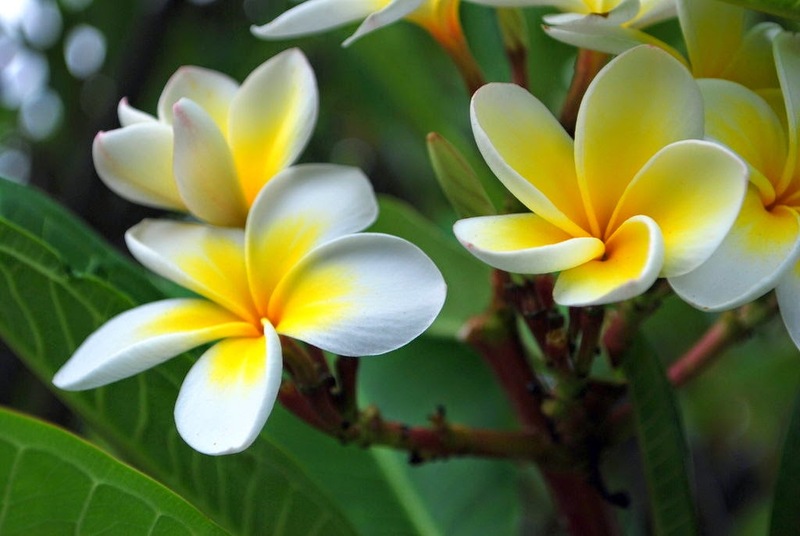 To grow the Frangipani tree you will need to be able to provide a frost free climate where temperatures do not drop much below 18 degrees Celsius over the winter. They will tolerate a wide variety of soils, from acid to alkaline and sandy to clay just so long as they are free-draining. Heavier clay soils will need their drainage improved or alternatively consider growing the Frangipani tree in a large container. In cooler climate you can grow the Frangipani tree quite successfully in pots where they will flower reliably every summer. Just choose a quality potting mix such as John Innes No.3 and a wide, shallow pot. You may wish to mix in some horticultural grit or sand to the compost in order to improve the drainage further.Just remember that potted plants will require more frequent watering than those grown in the ground. The Frangipani tree rarely need feeding, although they will produce bigger and better flowers if you spread a mulch of well-rotted farm manure or a sprinkling of granular fertiliser around the base of the tree during spring and summer. Be aware that any mulch applied should be kept away from the trunk to avoid rot. 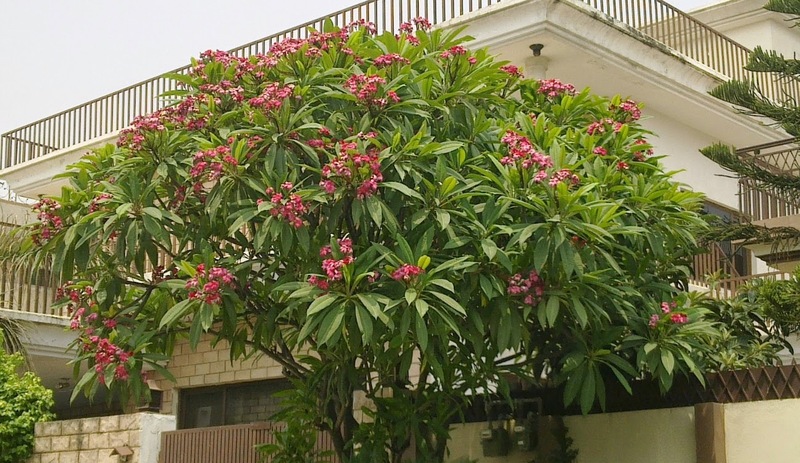 Once established you will find that the Frangipani tree is both drought tolerant and also surprisingly fire hardy!